The Elaine Upholstered Platform Bed is the perfect ingredient for a mid-century suite. 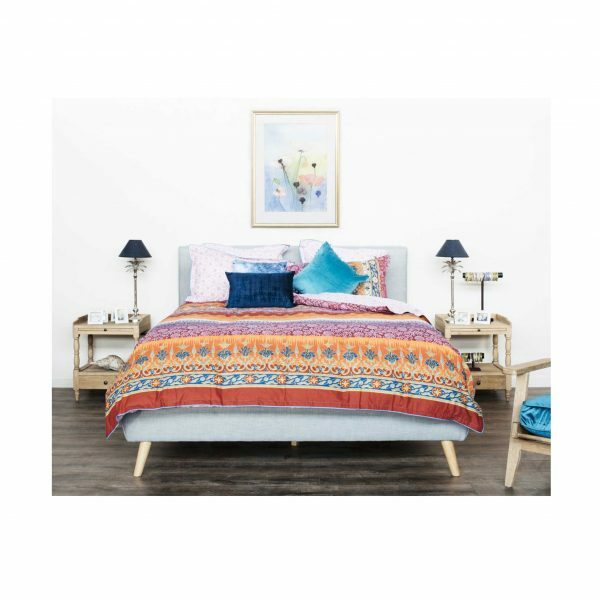 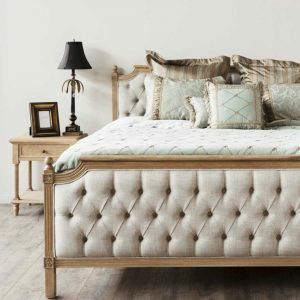 This bed will surely add a spark of modernity and class to your bedroom with its button-tufted headboard and angled wooden legs. 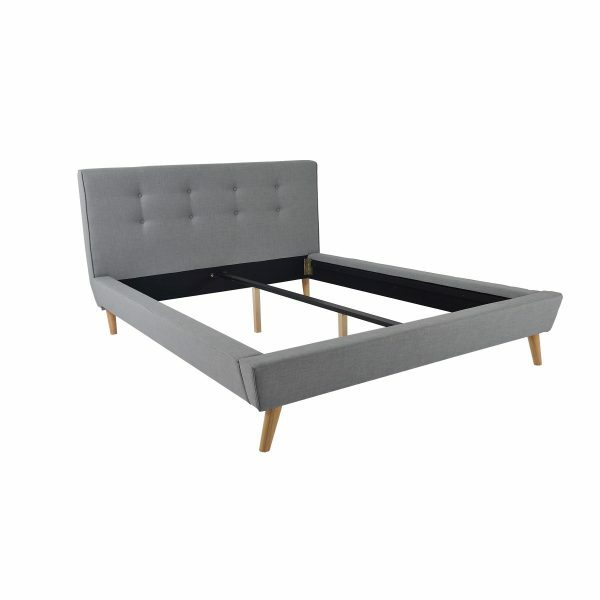 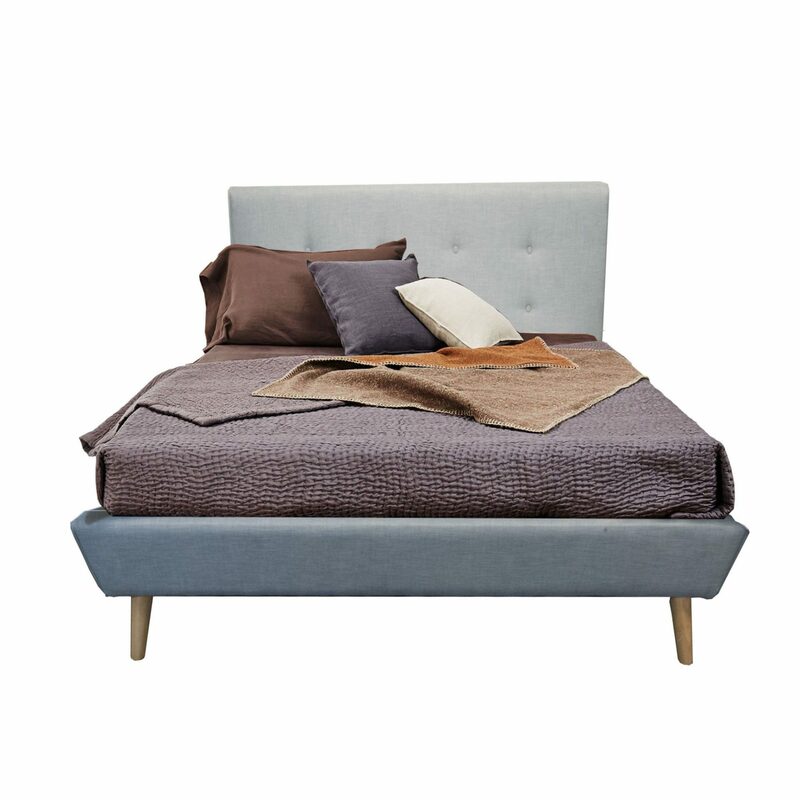 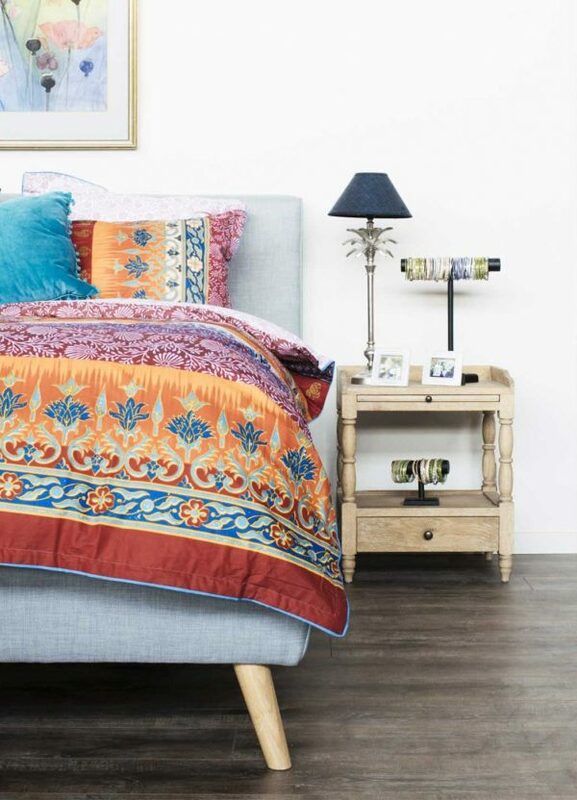 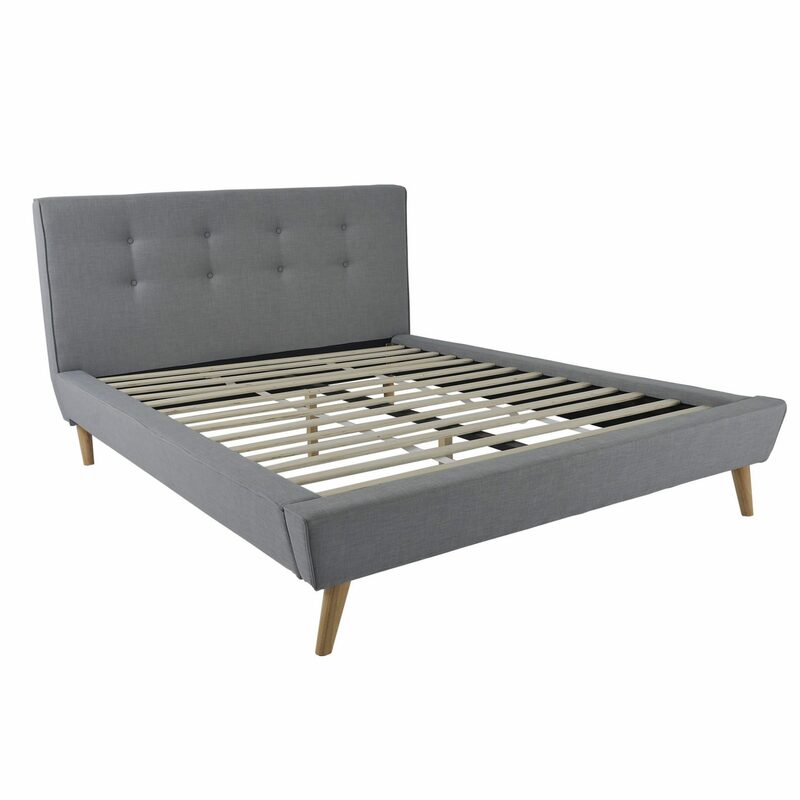 This gray coloured bed is made to complement any bedroom and will undoubtedly create elegance all throughout.